How I Can Help Improve Your Body Image - "effortless personal style"
you never have to think about fashion again"
I believe that we are all entitled to feel good about ourselves, and be comfortable in the skin we're in, regardless of our age, size and background . We can't change Mother Nature without expensive and risky cosmetic surgery, so instead let's work with what we've got and be the very best we can be. As an Image Consultant my job is to take the pain and frustration out of not knowing what to wear. I will work with you to create the perfect style that suits your personality, lifestyle and budget AND is easy to maintain. By showing you how to dress in a way that flatters your body shape and introduce you to stores that are perfect for you, not only will you avoid those expensive mistakes you've made in the past, but you will have an image that reflects the woman you want to be. I can also show you how to build on your existing wardrobe to create new outfits that you will look and feel amazing in. Never again will you utter those words “I've nothing to wear”! 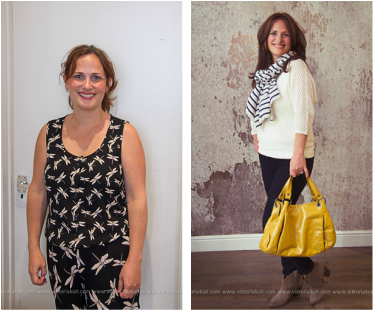 So if you have lost your fashion way and need help getting back on track, take a look at my personal styling services and see which one might be right for you. You're only a phone call away from getting started on the journey of discovering a fabulous new you.